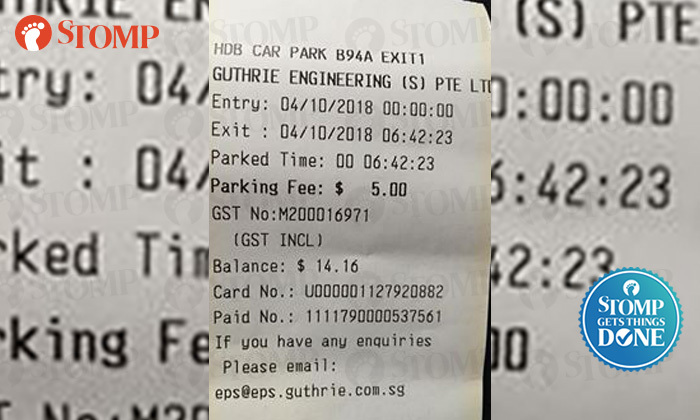 Stomper Chan was billed $5 because he was leaving the carpark near Block 513 Bedok North Avenue 2 at 6am on Oct 2, after he’d paid for parking. Chan, who had been billed, stated this was the very first time anything had occurred. Stomp brought up the issue with HDB at a press query on October 10. In reaction to this media question, HDB advised Stomp about Oct 11.
the Stomper was provided a complete refund from the service supplier for its carpark gantry,” Guthrie Engineering Pte Ltd..
despite the fact that they previously compensated for year parking,” said Chan into Stomp at a telephone interview. This article was first published on Stomp.